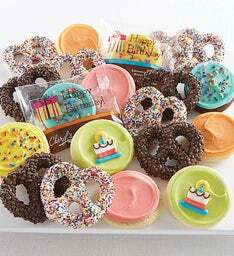 A deliciously popular basket overflowing with sweet desserts! 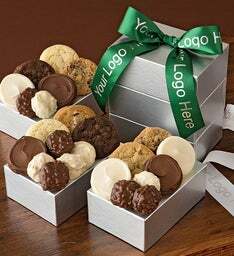 The perfect addition to any occasion or a sweet gift idea. 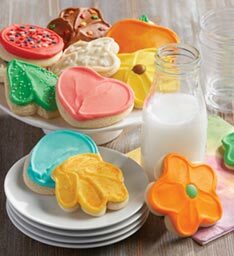 We’ve included our buttercream frosted vanilla cut-out cookies wrapped in Nationwide Children’s Hospital iconic butterfly film along with lemon burst cookies and flower shaped cut-out cookies, fudge brownies and classic chocolate chip cookies. 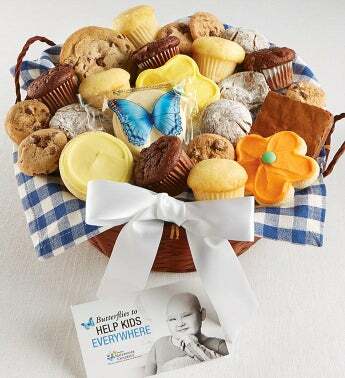 15% of the Net Proceeds from the sale of this product will benefit Nationwide Children’s Hospital. 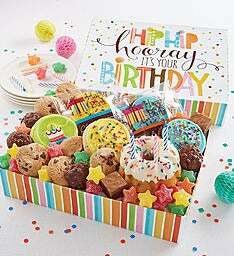 A card announcing your generous gift will be included from each qualifying transaction. 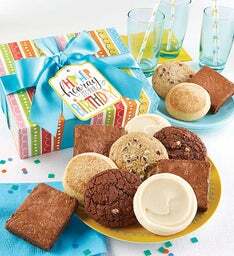 Have a FABULOUS DAY and feel EXTRA GREAT knowing this cookie gift is HELPING KIDS EVERYWHERE. 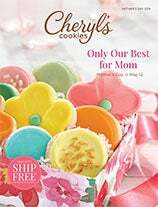 Cheryl’s Cookies will donate 15% of this gift purchase to benefit life-saving research and care at Nationwide Children’s Hospital, America’s largest pediatric hospital and research center. Butterflies are our ambassadors of hope. They’re beautiful, resilient and they represent emergence against all odds. Visit us at Nationwidechildrens.org.